The last drawing for 2017 and the fourth in the “Movies” series. 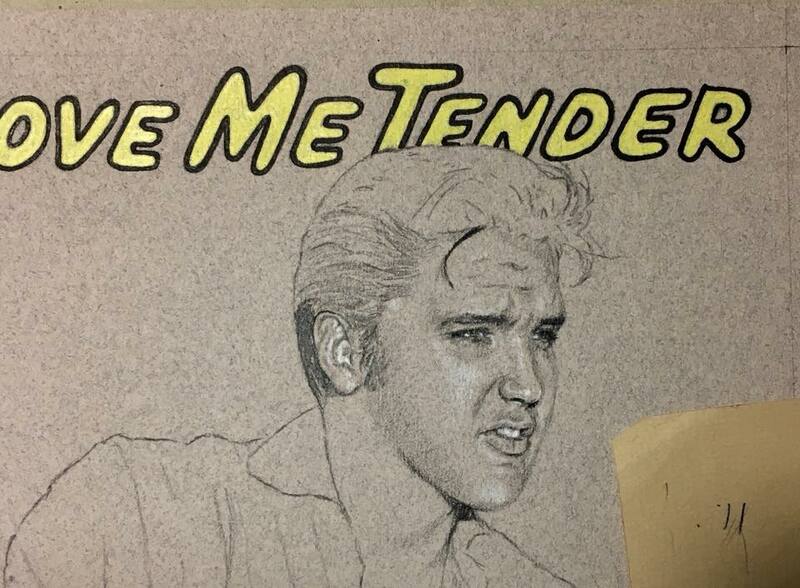 Love me tender. Love Me Tender is a 1956 American black-and-white CinemaScope motion picture directed by Robert D. Webb, and released by 20th Century Fox on November 15, 1956. The film, named after the song, stars Richard Egan, Debra Paget, and Elvis Presley in his acting debut. It is in the Western genre with musical numbers. As Presley’s movie debut, it was the only time in his acting career that he did not receive top billing. 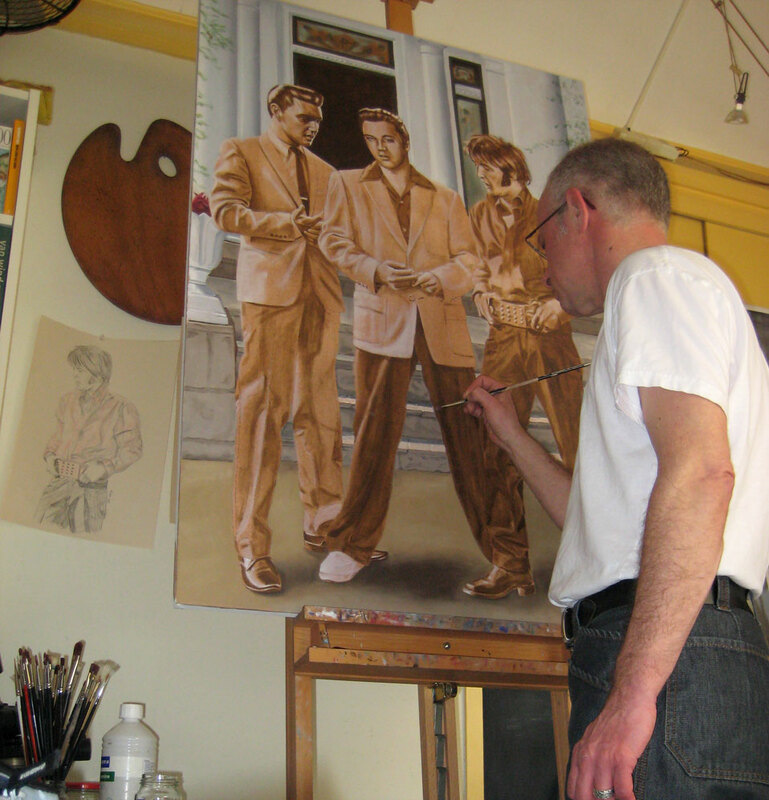 Love Me Tender was originally to be titled The Reno Brothers, but when advanced sales of Presley’s “Love Me Tender” single passed one million—a first for a single—the film’s title was changed to match. 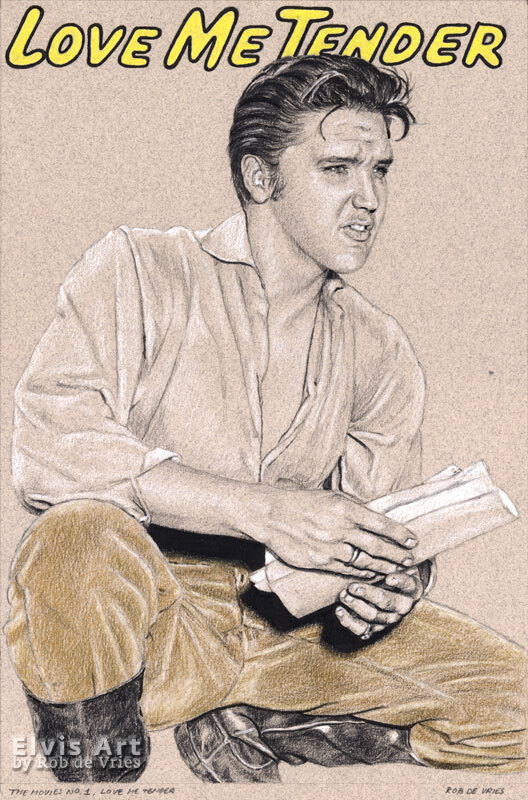 This was the only time that Presley played a historical figure.